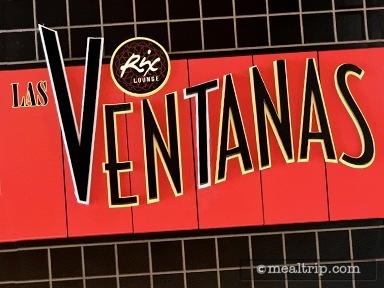 Coronado Springs newest eatery is Las Ventanas, and it's located just down the hall from Cafe Rix, the resort's "night club". This small eatery is a great business casual location for a very brief lunch period, served from 11am until 2pm. The restaurant's orange and red tones are grounded by the darker stone flooring, tables and chairs, and give this somewhat small location, a very warm, upscale South and Central American feel. 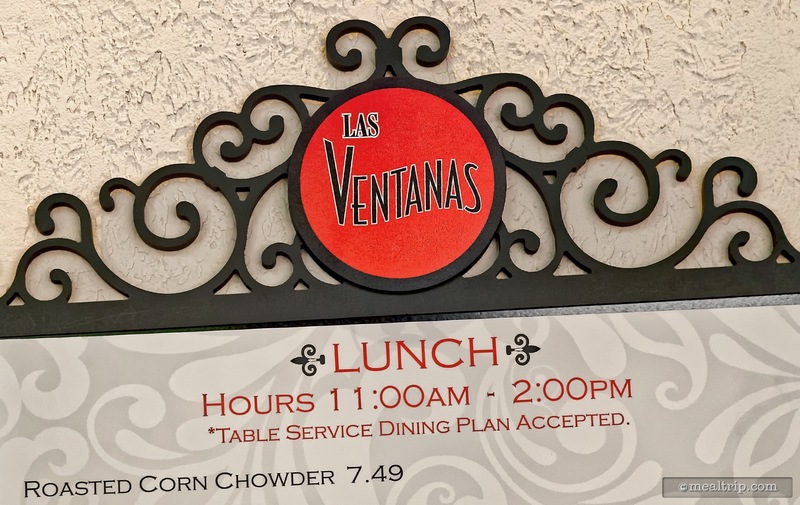 Soups, salads, and sandwiches are on the menu for lunch at Las Ventanas. From a Roasted Corn Chowder, and a Lobster Salad with baby spinach and focaccia croutons, to sandwiches like the French Dip and gourmet Grilled Cheese. Ventanas also offers a couple of plated entries that are house specialties for lunch… the Blackened Mahi Mahi and and Herb-marinated Chicken Breast served with toasted orzo, capers, sautéed vegetables and arugula pesto sauce.